Following are some images of various types of saunas, as well as some pictures of people enjoying the sauna experience. Please submit your own photos here if you would like to share a picture of a DYI project that you are working on, a photo of a pre made unit that you have purchased, or even just one of you enjoying the sauna experience at a health club or your own home. Please keep everything PG...we all enjoy using the sauna sans clothing from time to time, but let's keep that to ourselves. For the purposes of this site, we will not be able to post anything that is inappropriate...thank you. 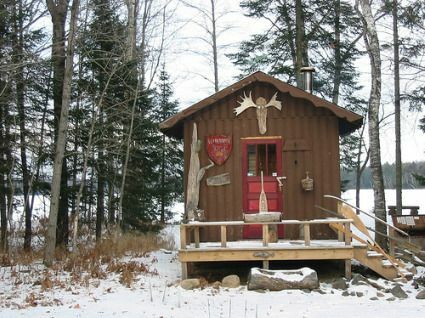 Photo of rustic sauna in the Great Lakes region. 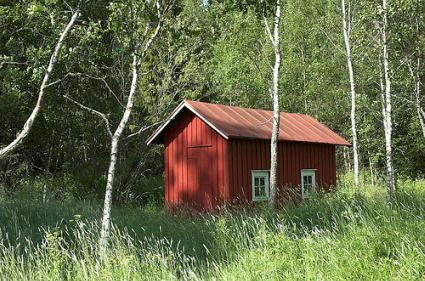 Sauna cabin in Uusikaupunki, Finland. 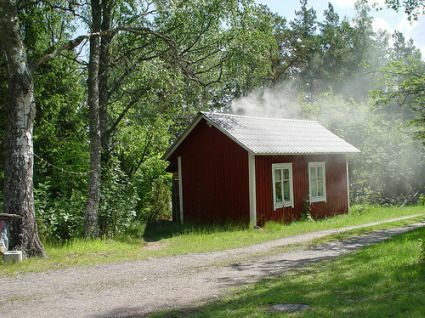 Photo of a traditional smoke sauna (savusauna) in Sipoo, Finland. 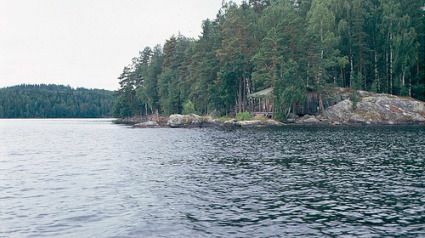 A typical sauna found on one of the thousands of lakes in Finland. 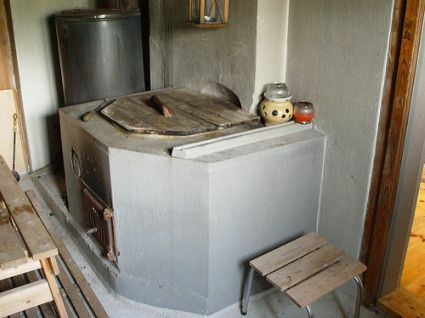 Photo of old rustic sauna heater. Man trying to figure out how to use the bucket and ladle to create steam in the sauna. Couple enjoying themselves in a larger, electric heated sauna. They don't look very happy for some reason. This guy looks like he is up to no good, but his wife/girlfriend/friend seems to be enjoying the relaxing benefits of the traditional sauna. These friends are having a good time in the sauna, but she looks like she wants to be a part of the conversation. A young woman taking in the sauna experience by herself. Good thing she is dressed, as we don't see a towel anywhere in sight! OK now there's on with a towel, looking like she is about to lie down on the wood "pillow" to enjoy her time in the sauna. You've heard of ladies that lunch? Well, these are ladies that sauna! Only one of them looks happy, however. I wonder why that is? Some people prefer to recline when they're in the sauna. Looks like its quite hot in there based on the thermometer reading, and you can see the time gauge on the wall, which lets you know just how long you've been in the sauna. You never want to overdo it! When you're by yourself in the sauna, it's quiet easy to just zone out and relax. We actually get some of our best thinking in when we're chilling...or rather heating up, in the sauna.